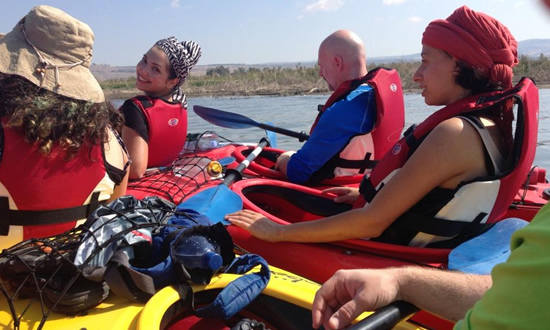 The guides will give a short orientation talk on the Sea of Galilee as well as instructions on paddling and safety precautions. 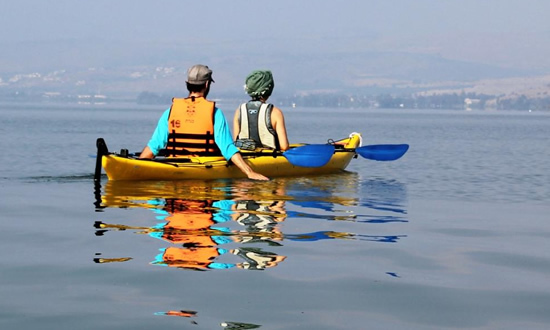 Upon entering the water we will paddle about 2 Km under the cliff of Mount Arbel to a part of the lake called Gennesaret (Luke 5:1). Our first stop will be at Magdala Beach for a simple open-air breakfast. 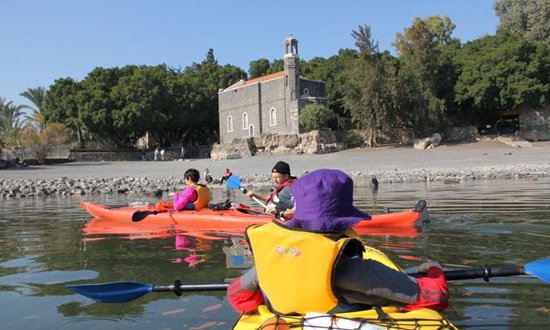 Leaving the kayaks we will pay a visit to Magdala, home of Mary Magdalena. We will walk to one of the most impressive archeological sites ever found in Israel. The site includes a simple building that was used as a house of worship between the years 20-30 AD, the exact time when Christ went down from Nazareth and met Mary Magdelena. After walking round the site we will regroup in the beautiful new “Duc In Altum” Sprituality Center. 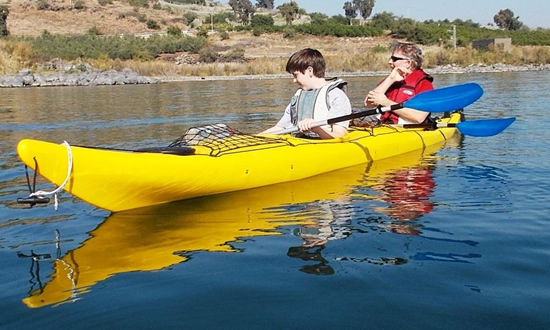 Back to the kayaks, we will continue paddling northwest to the visitor’s center in Ginosar. Here during a drought in the 1990’s, fishermen found the well-preserved remains of a wooden boat from the first century – exactly the type of boat that Jesus’ disciple’s, many of whom were fishermen, would have used. Leaving the kayaks on the shore, we will walk round the visitor’s center to see this unique boat.